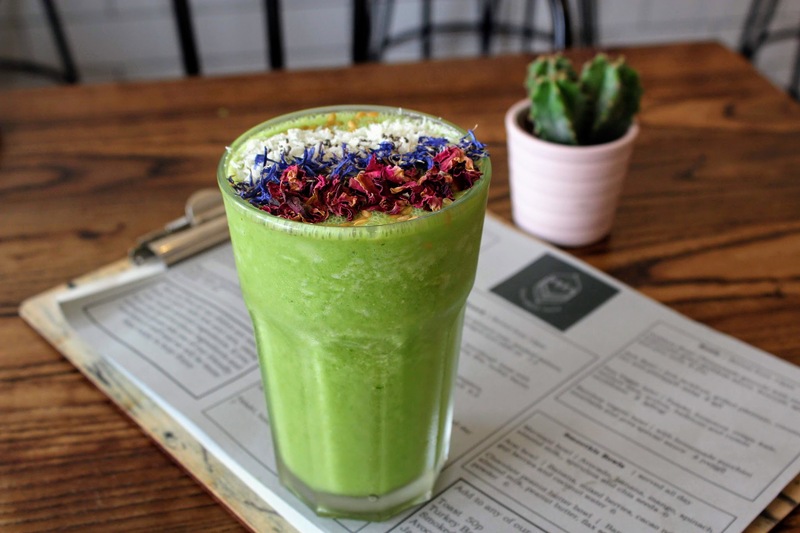 I still can’t remember how I first came across Pres, but when we discovered our dream house in Prestwich back in November it popped up on my radar and I was so excited that our new living location had a cafe/bar offering healthy, earth-friendly smoothies and dishes. 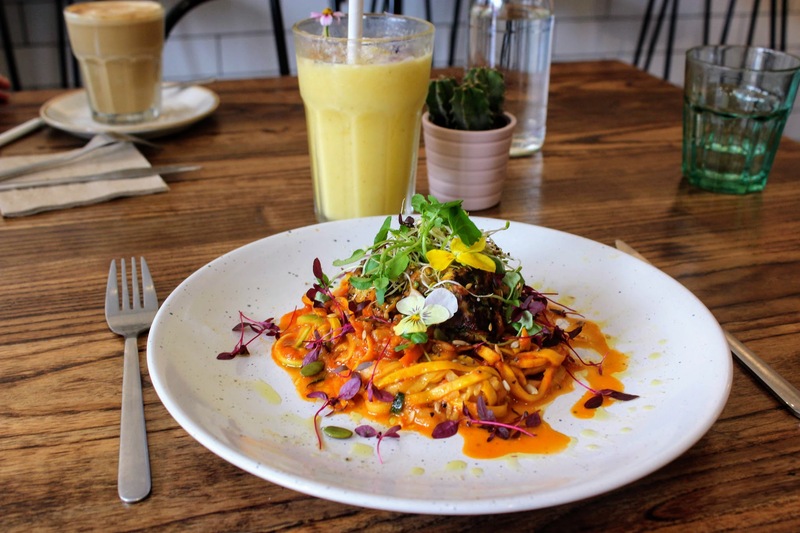 Having lived in Manchester city centre for 4 years with quite a few healthy eateries on our doorstep, this was an added bonus and nice to know I’d have a ‘local’ down the road I could get my health food fix while eating out! 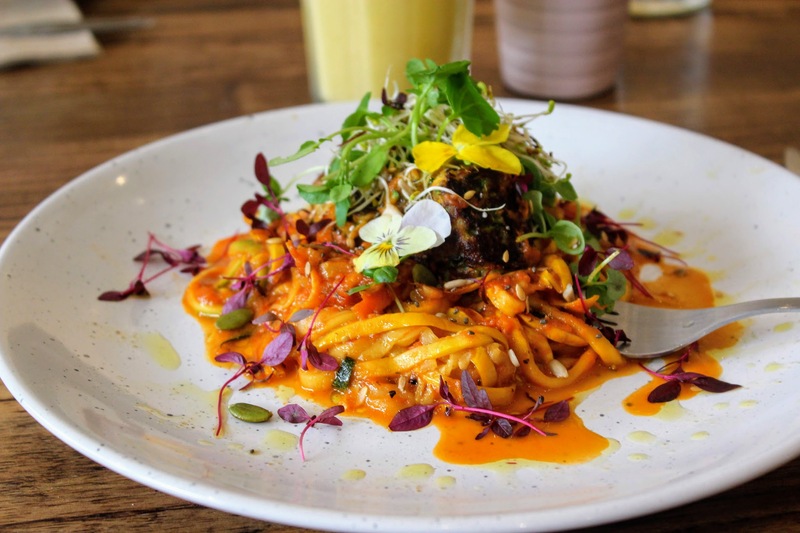 That’s how I met Chloe, founder of the cute little venue and mum of two little ones, who set up the venture just over a year ago following her passion for championing locally sourced produce and providing fresh nutritious cold-pressed juices and meals to the Prestwich community, the first of its kind. I always admire people who have an idea and make it happen – never mind making it a success – so it’s been a pleasure to pop in recently to try some dishes from their new menu, just launched at the beginning of the month. 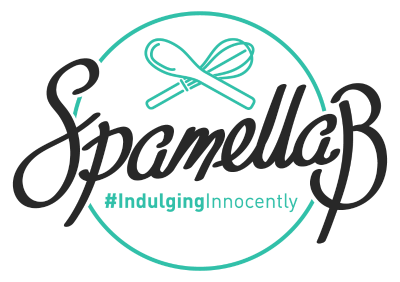 With a new chef behind the scenes and offering her take on some popular culinary favourites, I couldn’t wait to get stuck in. First up, smoothies! 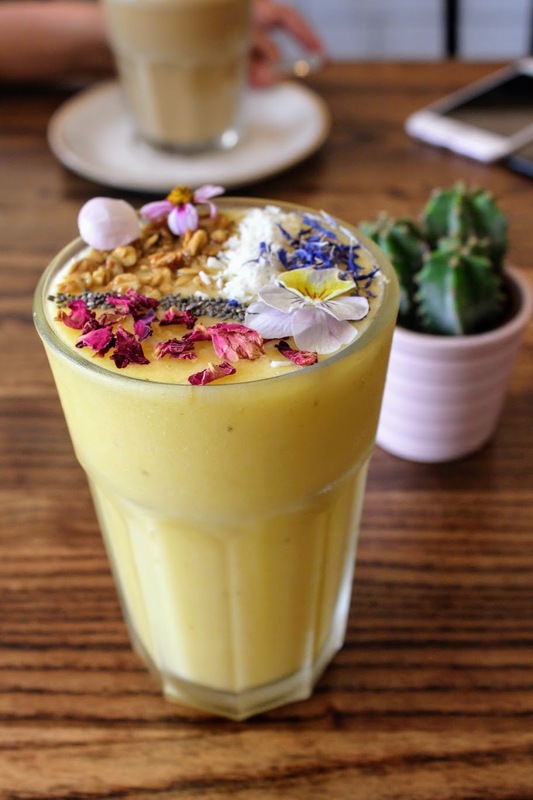 There’s an extensive menu to choose from offering everything from a rich cacao and date one to a more detox-friendly option with the usual suspects spirulina and wheatgrass; I went with FIVE – Pineapple, Mango, Banana and Coconut Water, a tropical inspired combination which arrived beautifully decorated and almost too pretty to drink. 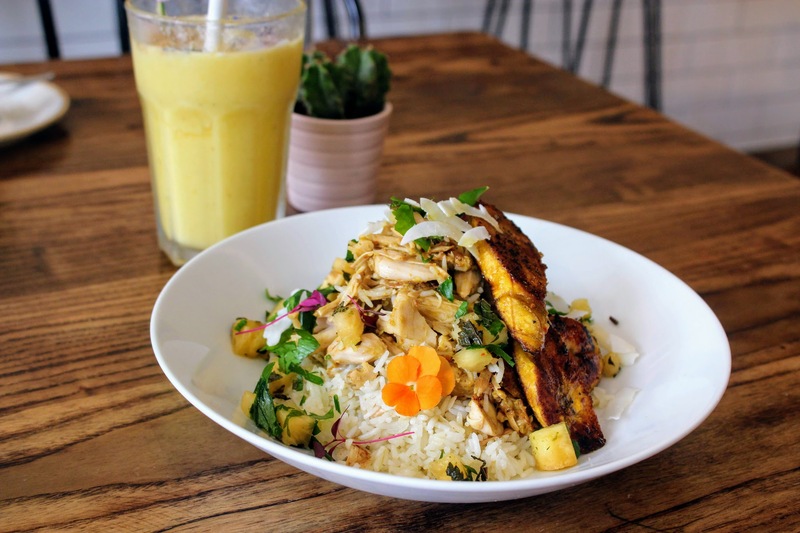 Chloe ordered her favourite ELEVEN – Kale, Pineapple, Almonds, Honey, Yoghurt and Coconut Water – which was creamy but refreshing, a balance of sweetness from the pineapple and honey subtly blended with the more savoury tones from the kale and almonds. Both were tasty in their own way, there is definitely something on the menu for all tastes. One of the new elements on the menu is the Rainbow Vegetti Bowl with homemade zucchini meatballs and Pres special sauce (a veggie and gluten-free dish). I must say, the meatballs worked wonderfully in that the texture held together thanks to the chia egg to bind them, while a well thought-out selection of herbs and seasoning gave them plenty of flavour and depth. I’m so glad there was a generous amount as they were filling but not stodgy, really enjoyable and were suitably matched to the delicious creamy sauce smothering the veggie noodles. A great way to bulk up a vegetarian dish while keeping the carbs down, I’d challenge a non-meat eater to try these. 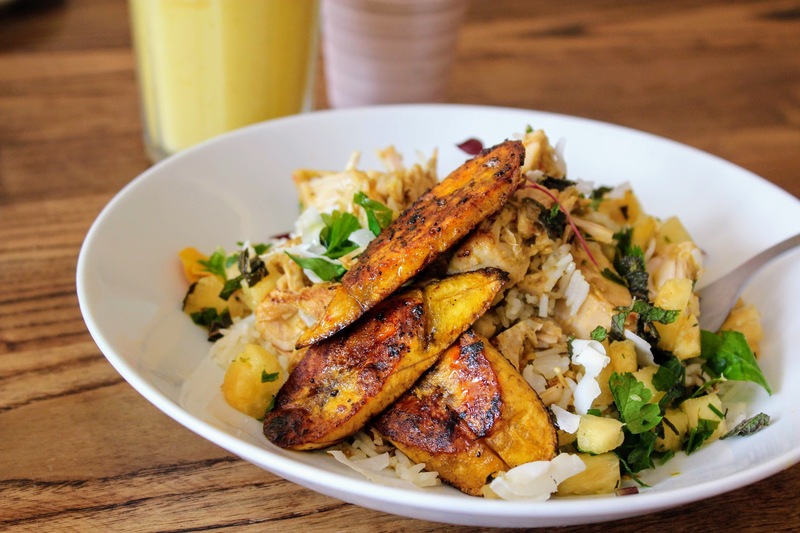 Onto my second option, the Jerk Bowl with jerk jackfruit, grilled plantain, coconut rice and pineapple salsa. How fit does that sounds on first reading?! I was warned the dish had a “bit of a kick to it” which is fine by me, and this addition of chilli actually helped to give it a depth of flavour and a nice tingling heat all the way through. 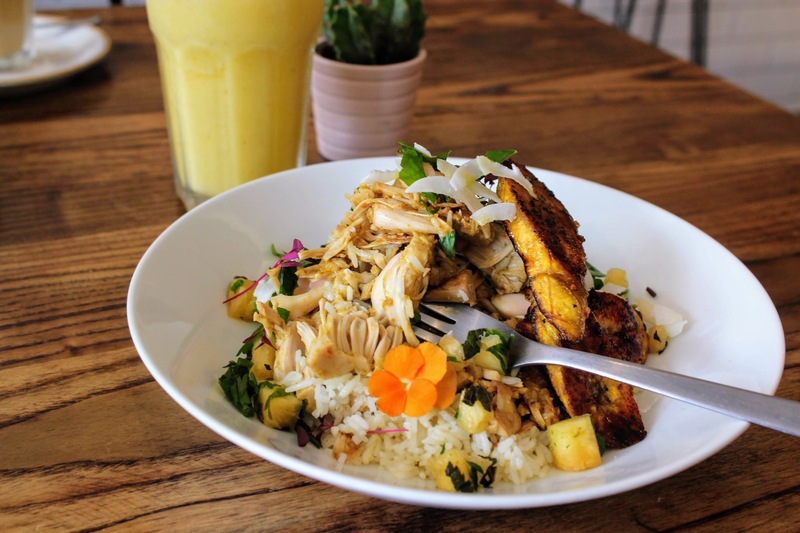 While the coconut rice and fruit salsa worked delicately and harmoniously to balance this out, the jackfruit added a welcome meaty, dominating texture and definitely filled the gap for a hungry appetite. I could quite easily eat this dish again and again; I think the only thing I’d add would be some (coconut) yogurt as an extra!